The Libellus de Alchimia by pseudo-Albertus Magnus describes a rather long process for making minium, or red lead, from lead carbonate. The quicker way is this. Look, red and yellow lead oxide. A mix of red lead, which is Pb3O4, and litharge, which is PbO. This was simply heated on a charcoal fire, without any attempt at temperature control and you can see that it isn’t pure red lead. 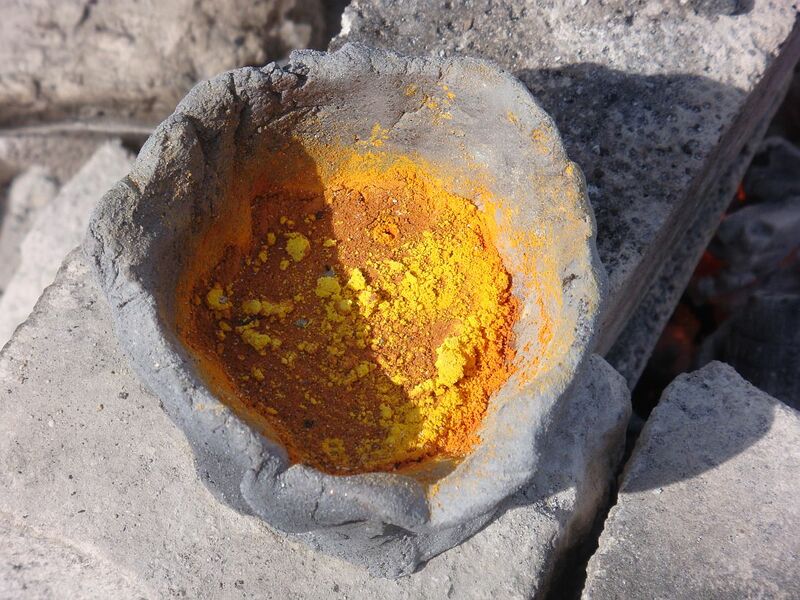 To get red lead you have to heat it over 340°C, and then if you go over 450°C, not a very high temperature, it turns into yellow PbO. This could be a bit of a problem, no? The PbO is the most thermodynamically stable form when heated in the atmosphere, and so because the fire wasn’t very well controlled and open to the atmosphere a lot of it was formed. 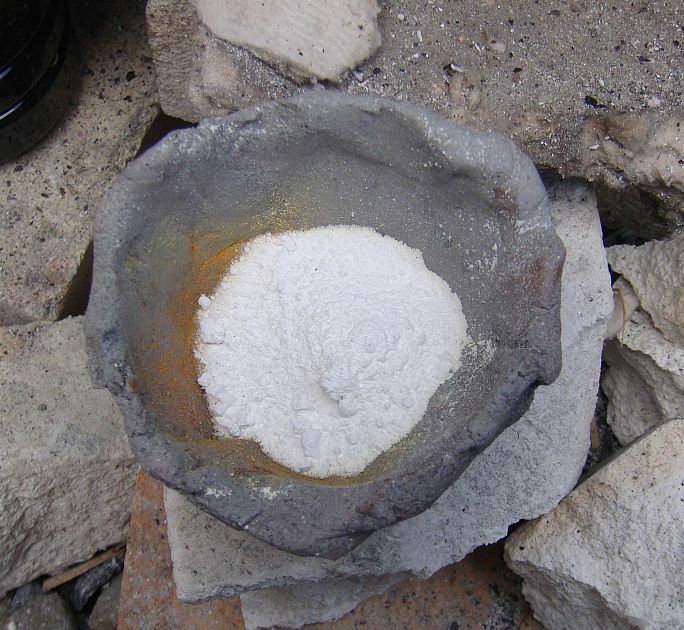 Which means that simply heating lead carbonate in the atmosphere doesn’t guarantee red lead. So I wonder if the long complex method works better? I shall have to try it out. But as you can see, getting the right alchemical substances isn’t as easy as you might think. For future reference too, this is the calx of a body, i.e. the burnt stone formed by burning a metal in air. It is very important in alchemical recipes, even if they often don’t tell you the best way to make it. your work is great, though you did not do the stone, WHY? I don’t really know how to make the stone yet. What text does Albertus describe this? I haven’t gotten it to stay in the truly red state yet, it always reverts back to orange when cooling. This is from the LIbellus de Alchimia by pseudo-Albertus, written probably in the early 14th century or so and part of a family of practical alchemical works which were not written by the real Albertus. I’m using the Sister Virginia Heines translation from 1958, University of California press. I’m not sure how to keep it totally red either. The temperature has to be just right so it doesn’t develop any yellowness at all.